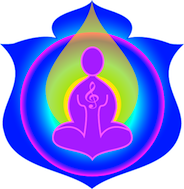 Sound no 26 The Earthbound Sounds simply release these trapped energies and clear the memory of carrying them from the cells and the energetic fields of the client. Having spent many years as a medium, as well as a House / Space Clearer, I am very familiar with earthbound energies, and the effects they could have on people and places. I often travelled many miles on weekends to “Ghost bust” building and areas for distraught people. Putting that knowledge to CD originally was not an easy task as I normally “communicate with or talk to” the deceased spirit as I remove it, so the Earthbound sounds became some thing quite profound. It was decided to release them only to Practitioners who had trained with me, and who were familiar with my way of working. As Sounds from Source practitioners we are well aware of the profound effects that an ‘Earthbound’ can have on the physical body, and as our work and knowledge progressed we were gifted additional information of the effects on the body of a Dimensional Earthbound as well. Once attached or taken hold these Dimensional energies can be difficult to remove without the knowledge or tools to do so and a Dimensional Earthbound is no exception. Comment from Susan – As with everything else, the more we explore, the more things we discover. As we have progressed in our learning and accumulation of knowledge over the past 11 years, many of the sounds have variations as we are allowed access to greater, fuller areas of knowledge. ​This sound is another example. Similar to the original earthbound, but again dealing with the different levels and variances which can and do occur. Once size does not fit all.